A headline in the Observer read ‘Rubbish tips to charge for disposal of non-household waste’. 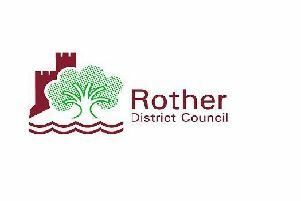 On top of the proposed charges for rubble, soil, plasterboard, asbestos and tyres East Sussex County Council are looking to close two rubbish sites and shorten the opening hours of some of the others. Let’s start with the good news: The council’s income will increase due to the charges and the lower costs of operating ​ fewer tips with shorter opening hours. Now the bad news: Fact number one. Some people will not be prepared to pay for the disposal of their waste and will, instead, fly tip it. Fact number two. Because some of the tips will have shorter opening times, and that there will be less of them, the queues will get so long that people will get frustrated waiting, turn round and, again, resort to dumping their rubbish somewhere in the neighbourhood. Fact number three. East Sussex County Council ESCC will find that what it saved, by closing sites and shortening opening hours, it then lost most of it in clearing up the results of the increased fly tipping. It will then, like other councils who have gone down this route, find itself dropping the charges and increasing the opening hours to, more or less, what they were before it decided on, I quote, ‘a way of delivering operational and financial efficiencies’. Oh, and just to rub salt in the wounds, the council has decided that the sites at Wadhurst and Forest Row could be left open if community organisations will take over the running of them. Coming up next: Fill up your own pot holes. Cut your own grass verges. Sweep your own roads. Run your own schools. The possibilities for the council to make financial efficiencies are endless.